1. Monarchy has a long history in Scotland. Choose three artifacts/documents/exhibits before 1500 that deal with kingship. Describe the items/documents and explain their significance to the development of the Scottish nation. 2. Based on what is displayed in the exhibitions "Within the Kingdom of the Scots," what seem to be the most important factors in the development of a strong monarchy? Give specific examples from the exhibits to support your choice. Devine, T. M. The Scottish Nation : A History, 1700-2000. New York: Viking, 1999. Donaldson, Gordon. Scotland: James V to James VII. Edinburgh: Oliver & Boyd, 1971. 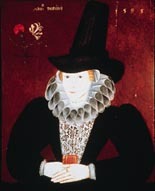 Fradenburg, Louise Olga. City, Marriage, Tournament: Arts of Rule in Late Medieval Scotland. Madison, WI: University of Wisconsin Press, 1991. Mitchison, Rosalind. A History of Scotland. London and New York: Methuen, 1982. Nicholson, Ranald. Scotland: The Later Middle Ages. Edinburgh: Mercat Press, 1989. Robertson, William. The History of Scotland.... Dublin: James Williams, 1772. Somerset Fry, Plantagenet and Fiona Somerset Fry. The History of Scotland. London and Boston: Routledge & Kegan Paul, 1982. Stones, Edward Lionel Gregory, ed. Anglo-Scottish Relations, 1174-1328; Some Selected Documents. Oxford: Clarendon Press,1970.